Will Changes to Marijuana Laws Affect Drug Screening Policy? For many jobs, drug screening is a routine part of the background check. Failure to pass a drug test often results in the disqualification of the candidate. However, changes to drug law regarding acceptable use of marijuana in many states could prompt some businesses to reevaluate their position on use of the drug. What Does the Law Say About Marijuana? Marijuana is classified as a Schedule I illegal substance, which means that according to federal law, there is no acceptable use of the drug for any reason. Lobbyist groups are trying to change that, however. 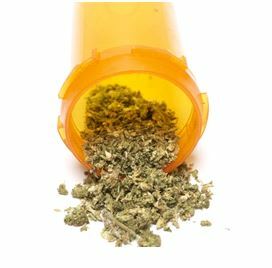 To date, twenty-three states and the District of Columbia have revamped drug laws to allow for the medical use of marijuana under the supervision of a doctor. Proponents of such laws point to studies indicating that marijuana can be an effective treatment for cancer, epilepsy, AIDS, and other serious medical conditions. Know Your Legal Responsibility—While laws are changing on the state level, federal law still classifies marijuana as an illegal Schedule I drug. It’s important to know what that means for your business, especially if you operate under federal regulation or receive federal funding. Assess Compliancy—If you work with a PEO, they will make sure your company policy complies with federal regulation. If you don’t, talk with an attorney about making sure you remain compliant with both federal and state laws. Provide Training—Particularly if you live in a state where the laws regulating marijuana use have been changed, it is important that you communicate your company’s policy explicitly to employees. Managers should receive training on the policies and how they will be implemented. Once you have your company policy in place, you will need to make a decision about how to enforce that policy by increasing or maintaining your current drug screening protocol. Keeping your business compliant with federal and state regulations requires a thorough, up-to-date knowledge of the applicable laws. Small businesses may find that the best way to keep abreast of the regulations is to employ a PEO to handle HR responsibilities, including compliancy. Here's an excellent article on navigating marijuana marketing laws and a lot of interesting information about the industry in general from our friends at HubSpot. "Marlboro Greens," classic.